My travelzandstories has now moved to ‘the-sailing-bee.com‘. The aim is to reach much wider audience and give a better experience to readers. Don’t forget to subscribe ! Read my recent article on – The Living Root Bridges of Meghalaya. Would love to hear your thoughts on it. It is true India is not one of the cleanest countries in the world. Leave cities, its villages are equally filthy. But what if I introduce you to a village where you’d be surprised to see no garbage! Yes, no garbage at all. 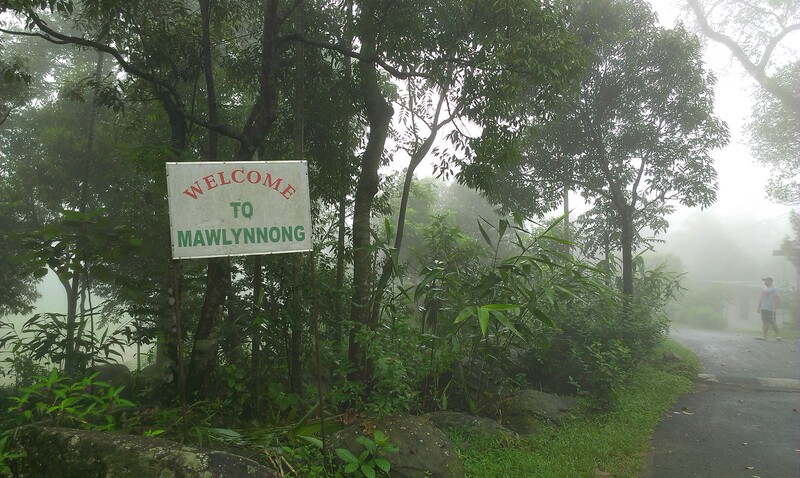 Mawlynnong, a small village located in the East Khasi Hills of Meghalaya is about 80 kms from Cherrapunje. The village is home to 90 families with total population of around 400. 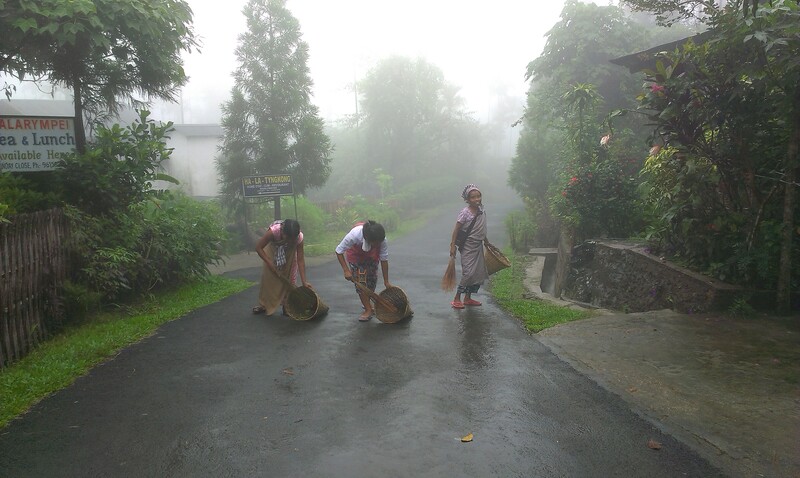 Having credited as the ‘cleanest village’ of Asia, Mawlynnong was on my list for long when I first heard about it. It was hard for me to believe the existence of such place in India. But it does exist. The drive to this place is not only picturesque but quite an adventure since the road to it is blanketed by fog all throughout the year that makes tad difficult to drive. I always have a picture in my mind before visiting a place, however this village broke all notions. To reach to the interiors of the village we had to cut through the dense grassland. Since, it was pleasant weather I rolled down my window to feel the fresh breeze of the hills, and I could hear the loud buzzing of crickets. It was pitch dark everywhere. I asked our driver if it is always like this or is there a burnout? He replied that village has no streetlights. I was not surprised though. As we were proceeding towards the village, we encountered men sitting on the road and drinking. Seeing me a bit puzzled, the driver told that it is normal here since there is no source of entertainment; people sit on the road and have ‘fun’. Suddenly, the car stopped. I asked the driver why did he stop, we want to go to the village soon. He said, “this is it, this is the Mawlynnong village.” I was surprised because first, it was dark and second, it was dead, I could see nobody there. I checked my watch to see if we were late, but to my surprise it was just 7p.m.!! 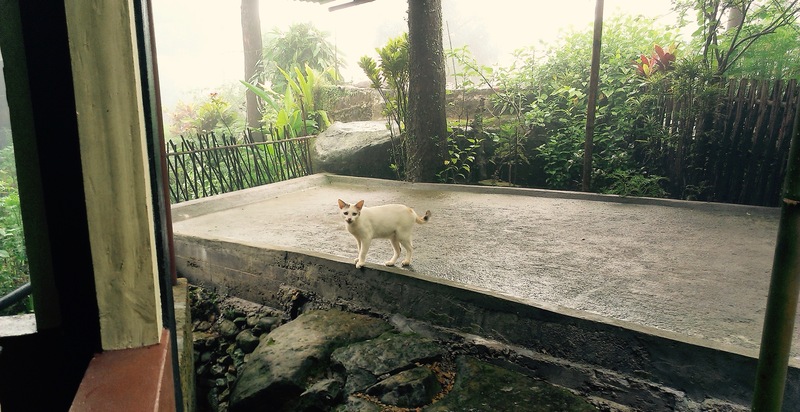 We approached to our guesthouse that we had booked; the owner of the place was called Henry. Apparently, in Meghalaya, Christianity is predominant and almost all speak basic English! That was a breather. So, Henry showed us our bamboo hut that I was super excited to see. And it didn’t disappoint me a bit. 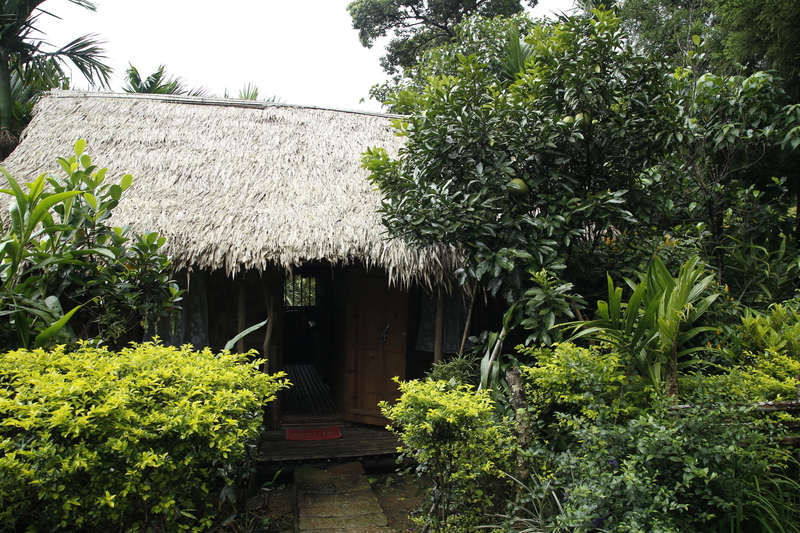 The hut was a quaint cottage with two twin bedrooms, a common bathroom and dining area. Still basic but looked luxury in this small village. Henry told us that it is good if we leave to see the Riwai living root bridge early in the morning to beat any crowd what so ever. Since it was too dark, I couldn’t have a first sight opinion of the village. And now, I anxiously waited for the morning. We all retired early after a long day. The morning was even more beautiful than expected. A dewy morning with drizzle and I was awestruck by the greenery there. It was 6 a.m. and still did not see any village people. Riwai Living Root Bridge is located in Riwai Village, which is just a kilometer away from Mawlynnong. The bridge is another tale altogether and needs another post to be told. On our way back to the cottage I finally saw local women cleaning the roads (which were already cleaned) and for the first time I noticed the cute bamboo triangular bins hung all around the village. These ubiquitous bins are the proofs of efforts taken by the locales to keep this place in tranquility with nature. I am sure you’d be mesmerize by the simplicity of the village to the extent that you might just start plan to spend your after retirement years there. Mawlynnong is an inspiration model to all the villages of India. It is so good to see when people respect nature and live in harmony with it. We have all read in schools about the importance of eco-balance but as we grow this knowledge holds little relevance. I was reintroduce to the concept again in this village and I could clearly make out how happy people there were. I just hope the credits of this village spread worldwide and inspire people to respect and preserve the nature. And believe me we don’t have a slightest idea how much a happy eco-system can give us back. 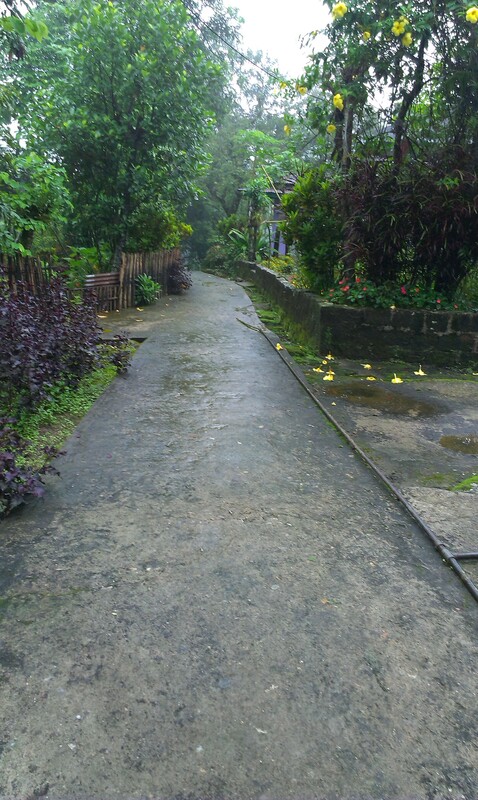 Though it is still rainy season in August but it is the best time to see this beautiful village. If you are somebody who can’t leave his or her comfort zone, this place is not for you. There are no proper hotels here. There are only few bamboo huts owned by villagers, which are not advertised on Internet. Contact Henry (09615043027) or Carol (09436104844) for booking a bamboo hut. Since these bamboo huts are like homestays so only option to eat here is with the family. The food is basic but delicious and big portions. If you are a bit finicky about blankets, you can take your own since here the bedding would have a little damp stench. But you can’t complain. Since the village is all green, carry insect repellant. Carry rainproof cloths and footwear. The city of Jodhpur reflects blue if seen from altitude due to blue painted houses. The city is known for its small lanes, authentic Rajasthani clothes specially bandhini (a.k.a. bandhej) and Rajasthani food. You can’t miss Rajasthani food when you are in the city. It’s a feast. Some very famous Rajasthani dishes are Dal Baati Churma, Ker Sangri, Gatte ki Sabzi, Kadhi, Pyaz Kachori, and the list goes on. Since the city has a lot of restaurants you may easily get confused. 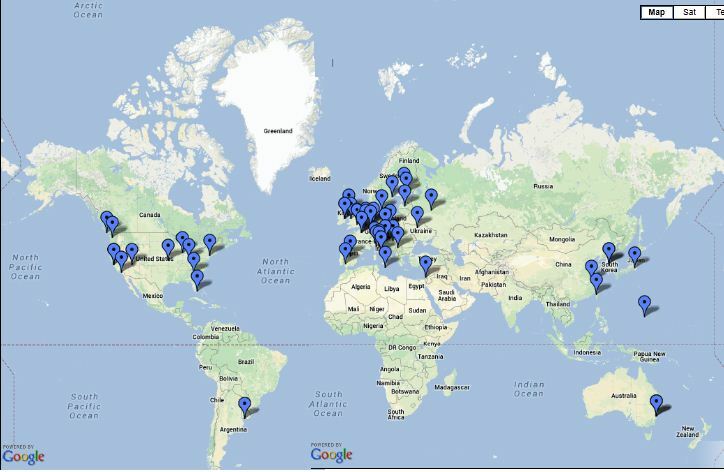 Here is a list of my places where you can enjoy a good meal or time. As the name suggests the place is not at all gypsy. 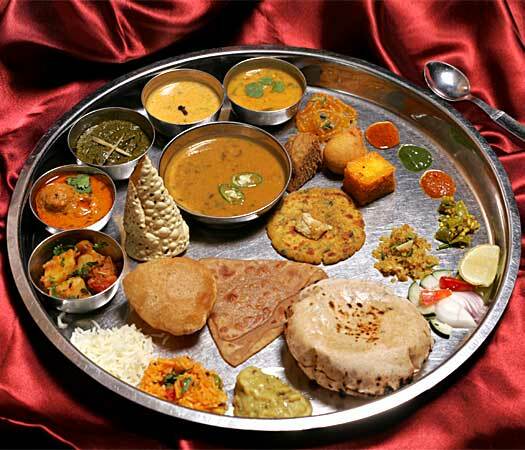 In fact it serves the best traditional Rajasthani Thali. Located in Sardarpura area of Jodhpur, the place is always brimming with foreigners and even locales. On any good day you may have to wait in a que to get a table but it is quick serving. The platter consists of mix of best 2-3 curries, 2-3 vegetables and sweets. You need to be really empty stomach before coming here as the meal is sumptuous to fill you for the day. The flavors just burst in your palette. You can even choose to order individual dishes from the menu rather the whole platter. But if you are in the city ou must try their platter as it offers authentic rajasthani cuisine at one place. Plus you can even ask for more, it is like a buffet where you are served at the table. The mean costs around Rs.500 for two people which I think is quite rightly priced considering the quantity they offer. 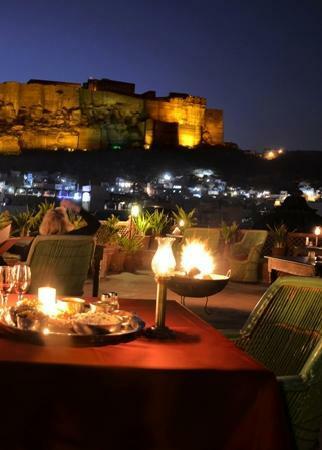 Having a good meal and a view of magnificent Mehrangarh Fort, it can’t be nay better. 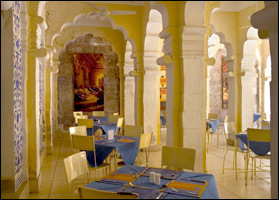 Panorma 360 is a terrace restaurant on Hotel Inn Pal located near clock tower. The place can easily be located. Enjoy your meal on a breezy evening with great ambiance and view. You know I feel eating at such places really make your meal memorable. The place offers both vegetarian and non-vegetarian rajasthani cuisines. It’s a good place to try Rajasthan’s famous Lal maas (red meat). I won’t say it has the best food but not bad at all. Certain dishes were good but some were bit spicy. 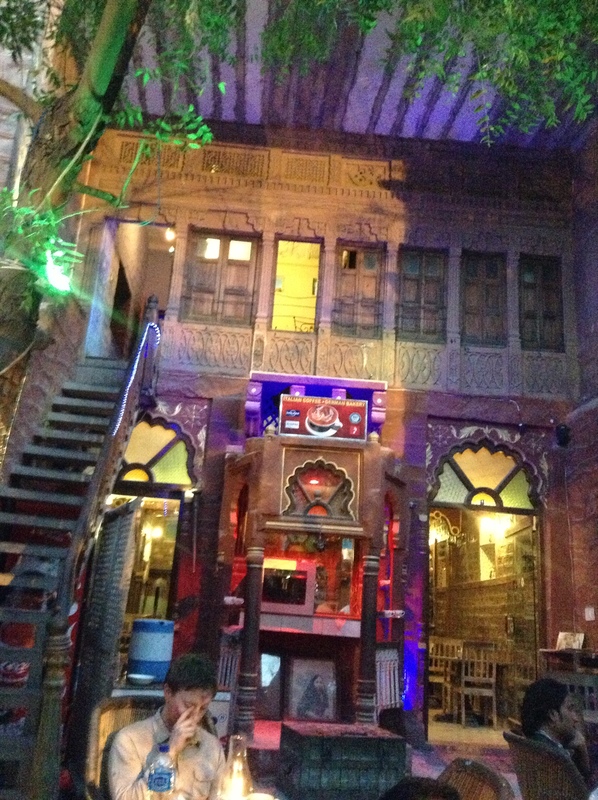 It’s a small cafe in Makarana Mohalla near Mehrangarh Fort. The place is good for snacks and spending good time in evening. You can bring your laptop, the cafe offers free wifi, plays good Indian music. Though I didn’t try main course there but just snacks, I would still go again to that place for its ambiance and backpacker crowd which gives you ample opportunity to indulge in good conversations and make friends for life. The place had a traditional Indian set up and thus gives you a lot to capture in your lens. The place is quite decent for pockets. There are not many choices of eating joints in the premises of Mehrangarh Fort. One such cafe located in the fort is Cafe Mehran. I had heard a lot about the cafe and seeing the crowd there I was very enthusiastic about it. But unfortunately I think the place is a bit overrated in terms of food. Though the place is always buzzing, well it could be because it is better than the other cafes in the fort. The food it not bad but very ordinary. It’s a sort of fast food place where you can rest after your long walk around the fort and have a quick bite but nothing more than that. Rajasthan is quite well connected by roads and railways. There are few trains that goes direct to Jodhpur and even Jaisalmer. To name a few – Mandor Express, Del-Jsm Express, Rajasthan S Kranti etc. You can choose what suits your timing. For comfortable travel you can book cabs from Delhi or Jaipur to Jodhpur and Jaisalmer. Philippines is an amazing country not just because of its splendid beaches but because of its warm hospitality. 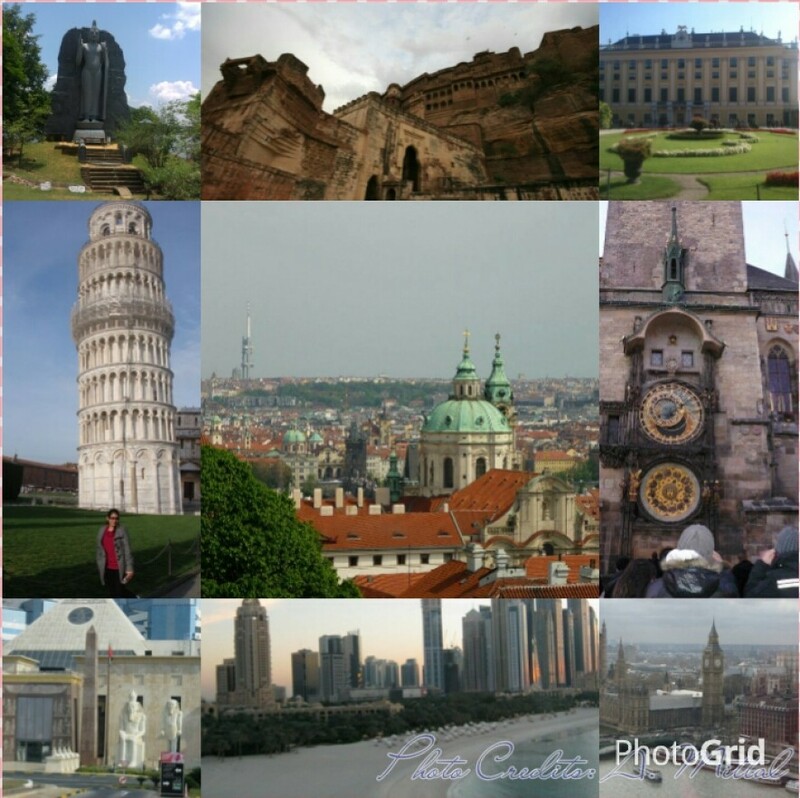 I visited the country in November 2013 and totally fell in love with Filipinos. It is unbelieving that such a small county has so much to offer, from pristine beaches to beautiful colonial towns and from natural wonders to irresistible shopping in big city. I am sure the internet is full of “must visit” list in Philippines. Here are five of the things that I believe will etch Philippines in your memory. This is was my first dive too!! Do not worry just take a dip and enjoy the serene sea life, walk on the sea bed and feel the fishes around you and if you get lucky you may even spot a magnificent Balicasag turtle. 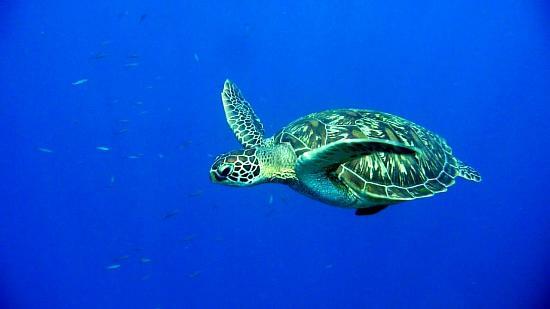 This species of turtles are found only in Bohol which is the best place to experience sea life in Philippines. You can easily book your dive with any of the diving centers at Bohol beach. The rates are competitive but fair but you need to make your choice wisely. There are no scams as such and are quite safe too. 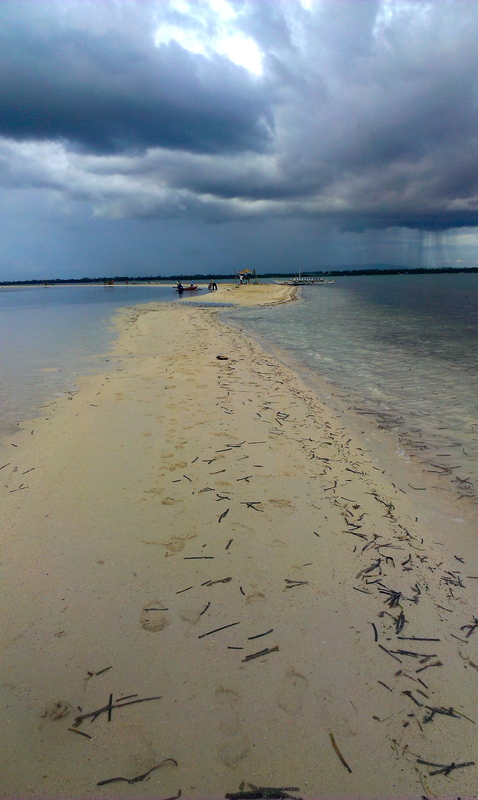 Any ferry at Bohol beach will take you to this untouched, non-touristy white strip of sand in sea. Let your feet feel the warmth of soft white sand on this beautiful piece of land amidst the mammoth sized sea. This place is heaven for photographers. Since it is not so deep around this island, you can enjoy wading in the sea. 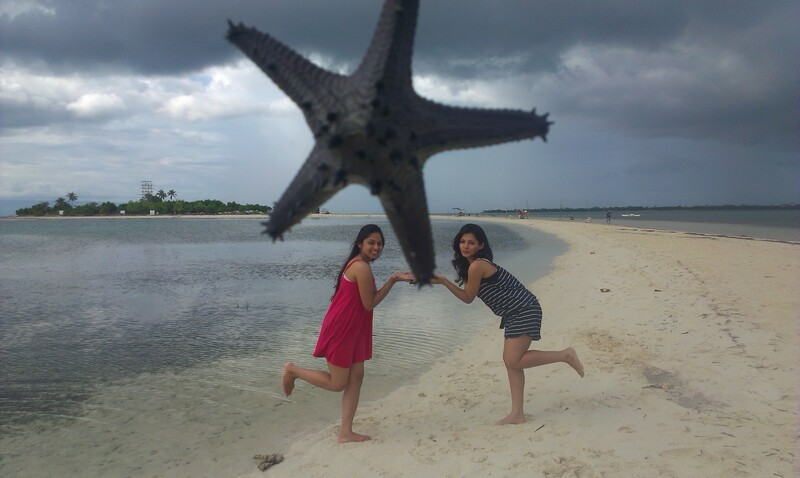 You can get yourself clicked with star fish in quirky poses and be embarrassed for life. The Hobbit House is one of its kind eating place located in Station 2 near D’mall in Boracay Island . Very easy to locate. The best thing about the place is that from furniture to its staff everything is dwarf, so eating there is quite a fun. The staff was super friendly and served great cocktails. Well I can only comment on the vegetarian Italian food which I found was pretty decent and priced on par with other restaurants in the vicinity. Boracay is famous for it nightlife. Although there are umpteen places to get drunk on the island, one such place where you can try your hands to get famous is Cocomangas. Located in station 1, the club is famous for its upbeat music and gimmick “Still standing after 15”. 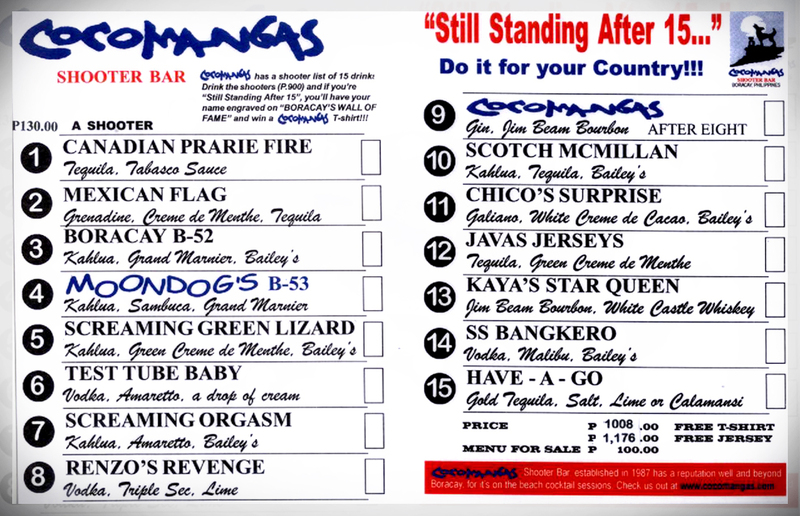 If you are still standing after 15 shots of different liquor and spirit, you get a number for your country, you win a t-shirt with Cocomangas written on it and your name gets engraved on the club’s Hall of Fame!. The other cool places in Boracay where party never ends are – Summer Place, Juice Bar, Epic, Area 51 etc. You can never get tired of getting sloshed at Boracay. P. Burgos street is the prime red light area of Makati city. The street is strategically located near all posh hotels. 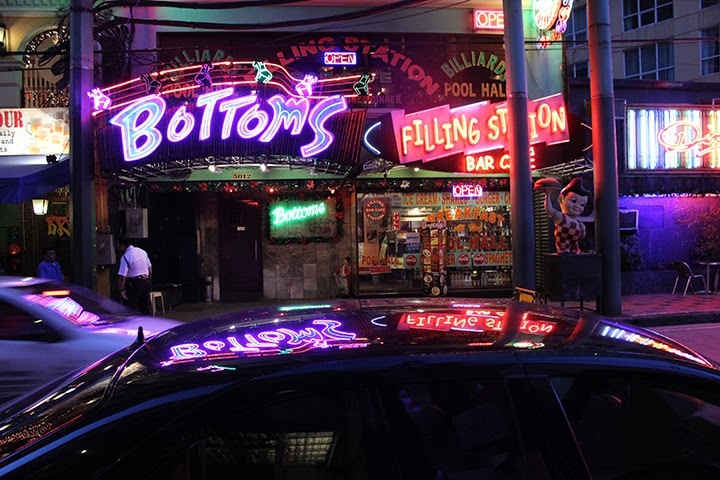 It is a long street with dazzling neon hoardings that say dirty names, expats, half naked girls and lady-boys. You can enjoy a drink at Cafe Cubana which is a decent pub with live band. The street has a very lively feeling. There are a lot many things that I couldn’t do in Philippines which is definitely a reason to visit it again. 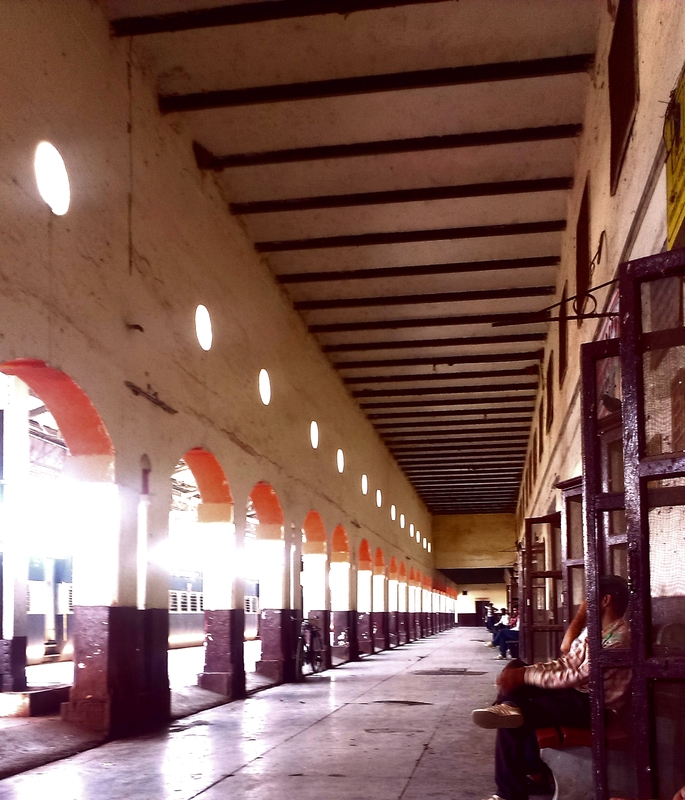 A typical archaic style railway station in India. This one is in Benares. To read more about why you should visit Benares, refer to my blog here. Don’t we love these sites with small locks with the messages engraved on them.I first saw them in my visit to Prague. 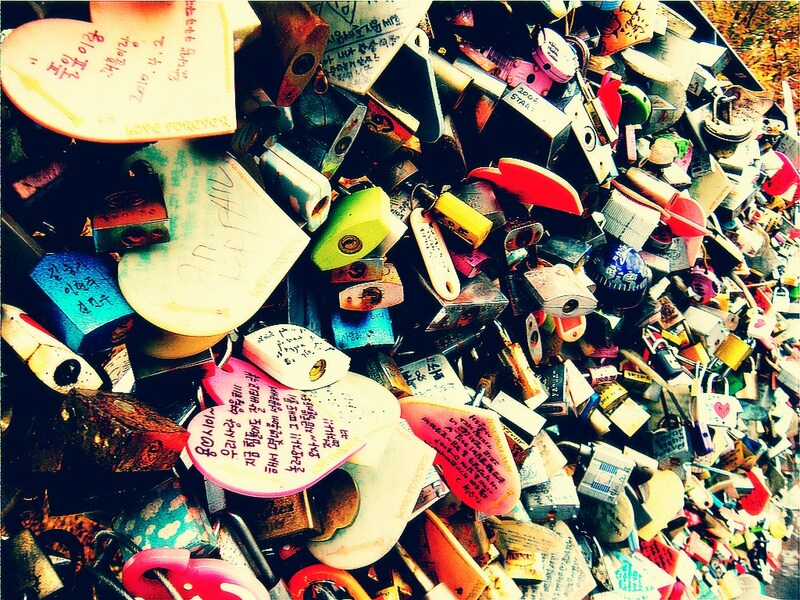 Do you wish to lock your love..the marked places are where you can find love-lock sites. Amazing Isn’t it? Not all journeys are successful. This doesn’t mean the others which are not successful are failures but sometimes they leave a story behind which you wouldn’t mind telling to people again and again. So this was back in 2010 December. My father has always been very spontaneous on travel. It’s a record that he has never booked a hotel room well in advance and his idea behind this is in India you can always find a place to crash for a night and if you don’t, you always have your car. It was around New Year holiday when at a prompt, my family decided to celebrate New Year’s eve at some hill station. It was still 31st morning and we all started packing not sure of destination. My dad while packing kept asking me to Google any place within 300 kms from Delhi. After a lot of yes and no we finally pinned down Lansdowne. My family had never heard of this place before and they were bit skeptical at first but since it was 250 km from Delhi and bit unexplored they got convinced. Like a adventurous family we packed everything in our SUV and left for Lansdowne. Lansdowne is a very small hill station in the state of Uttarakhand in India. 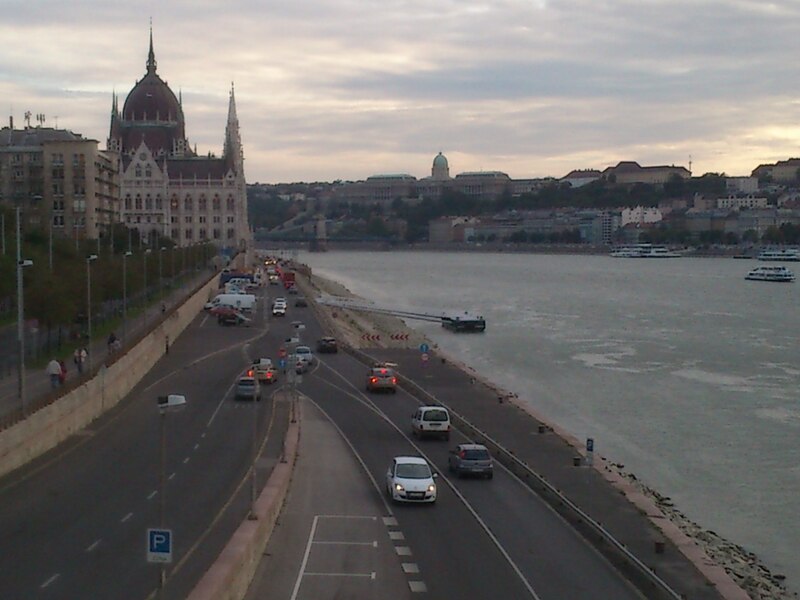 It is a relatively a less touristy place. 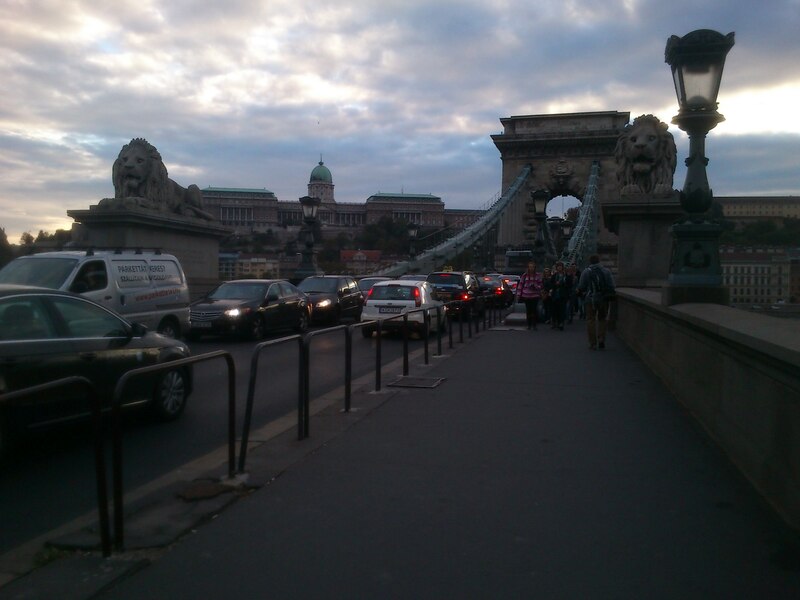 It was very unfortunate that in a very less time of our journey we got stuck in traffic for almost 4-5 hours. For once my parents gave up and suggested to return back home since it was winters and Lansdowne being a hill station is prone to thick fog which could hinder our drive. But like an obstinate traveler I insisted to carry forward and so we did. As expected by the time we reach the hill slopes the fog blanketed the road and we all were at the edge of our seats. While in ascended towards the destination I observed Lansdowne is located on a very steep hill, so driving here is not easy especially in night. Additionally it is not a very touristy destination back then in 2010, now it has, so the roads were not well maintained and there were no street lights to top it all. We were driving in a secluded rocky terrain, steep slope, thick fog, and adding to the difficulty there was also unfenced deep trench , I don’t know if there was a water body running below or pointed stones as it was pitch dark. As a family we were happy that we were together that if something happened tonight it would be to all of us. Needless to say it was a high point of anxiety and fear to my mother, she started a series of endless chanting and prayers that we reach safely to the town. This high tensed drama went on for atleast 5 hours. I won’t lie but the thought that why didn’t I stay back at home came to my mind but I did not let it out rather I had put a brave face and was showing how fun this journey is. But after brave driving by my father we reached to the point when we saw first Motel but the town was still 1 km away. The Motel was having its New Years Party with all it guest enjoying. We were pretty excite seeing people after 5 hours so we halted there for a while and did general inquiry about the place. There we got to know that the further road to the town is blocked due to a landslide !!! It was such a devastating news to us. After such a hard driven journey, all we got was an unexplored destination. We were still curious so went further to see if we can drive through the landslide but we saw a bus stuck half in the trench which of course freaked my mom and she commanded everyone to not to even think of doing any stunts but to take a room at a Motel we first saw. So we didn’t further proceeded towards the town. Alas!!!. We were being followed by the bad fate that Motel was full and there was no other Motel in that area so here we were out in the cold without any roof just the car and four of us. We had dinner at the Motel and James Bond decided to leave back to home that very night. After a lot of confrontations we decided to go back to home and it was still midnight. We had to face that scary ride again in one night. But thankfully descending down was not that scary than before. We reached the foothills but the fog was still thick. While my brother and dad were taking turns on driving I was having my goodnight sleep. I would only wake up when I would hear that they lost the way and took the wrong turn and reached to dead ends. I remember my brother also asked a way from a man who guided us in detail but later we realized he was a thief!!! and was trying to steal a car. In sometime we reached the outskirts of Delhi and watched the sunrise. This was one failure trip when we couldn’t reach to the destination but this whole journey has left a deep impression in my memories which I think I’ll always pass as strange stories from my travel. I do plan to go to Lansdowne again sometime but may be sometime in summers so that I can see what was below in the trenches. I have no pictures from this trip but I still want to put some from Google so that readers can relate and imagine the whole journey I had been though. How wonderful these lines are and so was the one who wrote those – William Shakespeare. I am very sure anybody who has read his works, at some point of time, must have fallen in awe of his words. It will be a fatal loss if you are in England and not visit the birthplace of Shakespeare – Startford-upon-Avon. It was end of Autumn in 2009 when I was still studying there. Some of my friends planned a trip to Scotland which excited me but the whole thought of snow and shivers stopped me from going. I decided not to go. 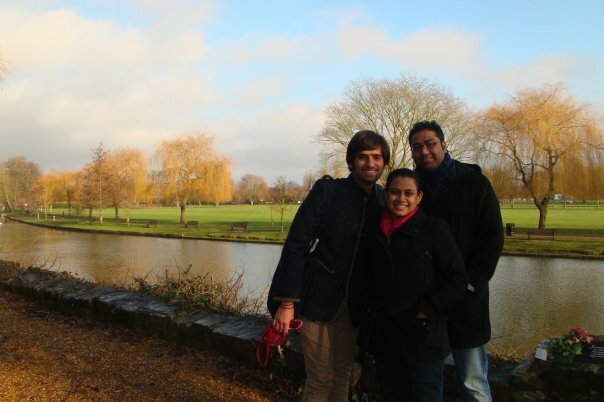 Who thought that decision of saying no to a trip, would take me to Shakespeare’s home. I and 3 of my friends decided to visit Startford-upon-Avon. This is a very small cute little town and was just 35 kms away from Birmingham where I was based. 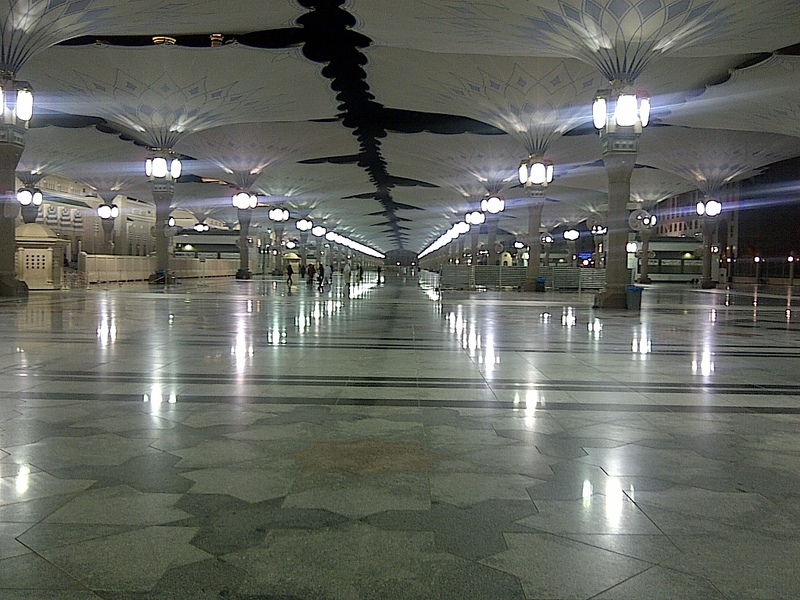 Reaching there is an easy task, you can easily book train tickets online. I think it took us not more than an hour or half to reach there. You wouldn’t even realize the travel time as you will be so consumed enjoying the countryside landscape. As soon as you’ll board off the train you will be welcomed by a happy town. Being from India such small towns really enchant me. You can literally walk around the whole town. 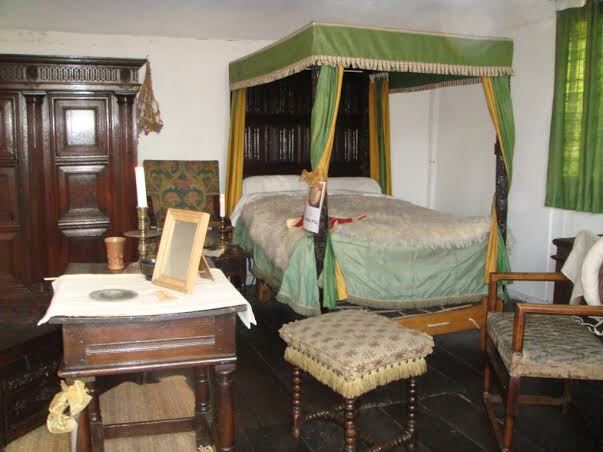 We were eager to see Shakespeare’s writing table and hence we bought the packaged tickets that covered Shakespeare’s birthplace, Nash’s house and Anne Hathaway’s Cottage. You can also avail student discount on the tickets. I think a pass to 4 houses would cost may be around 18£ and a pass for 5 houses would be around 22£. We were told these properties are now managed by Shakespeare Birthplace Trust. Shakespeare’s home is very well maintained. Below you can see his bedroom and his kitchen. 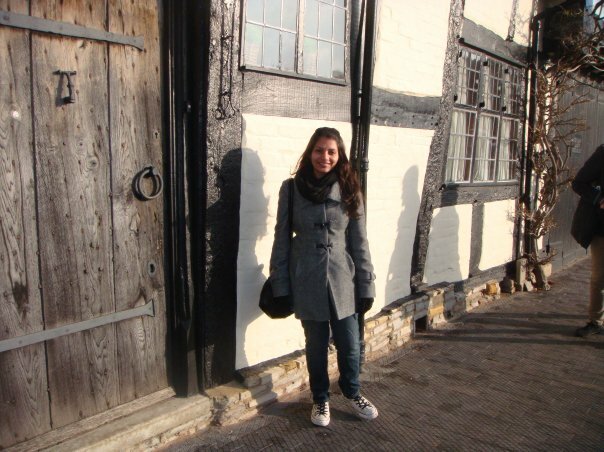 Nash House and Anne Hathaway’s Cottage are quite close to Shakespeare’s home. One can enjoy the lush gardens those surrounds these homes. The other interesting place to visit is Holy Trinity Church. It is the place where Shakespeare is buried. While walking around the church we discovered this magnificent view.